Dry Eye Day is Back by Popular Demand. On the heels of a Successful Event on Jan. 23, we are Running Another Event. 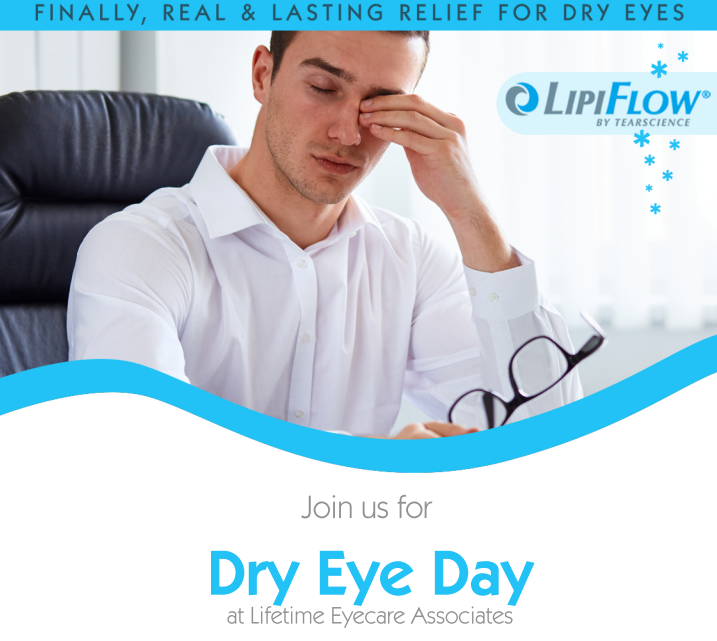 The Lipiflow® advanced technology performed in our Dry Eye Clinic is a fast and virtually painless procedure which opens and clears blocked glands. The treatment includes a Bruder Mask warm compress and artificial tear drops by Retaine MGD. We also provide the Lipiview diagnostic test which determines if the Lipiflow treatment is applicable. Call ahead to make an appointment at 281-825-5825. Spots are limited.